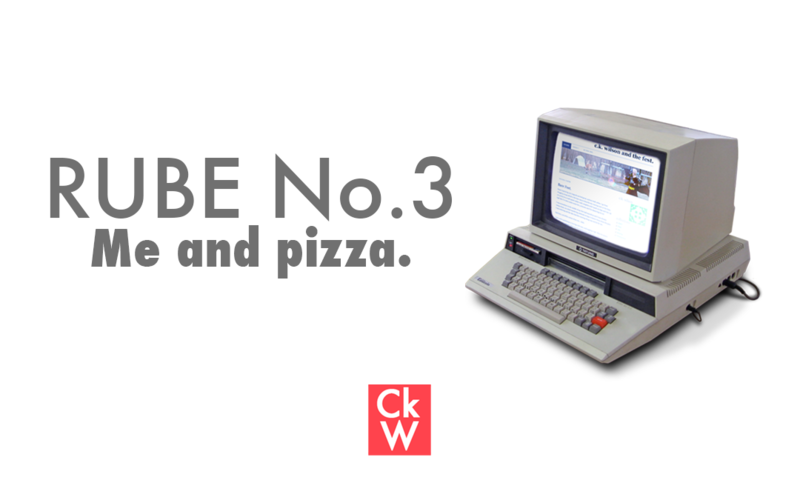 RUBE #3 – Me and pizza. You have no idea how much I dig pizza. When I wrote this, I truly thought there was something connecting pizza to the meaning of life. I was determined to figure it out. 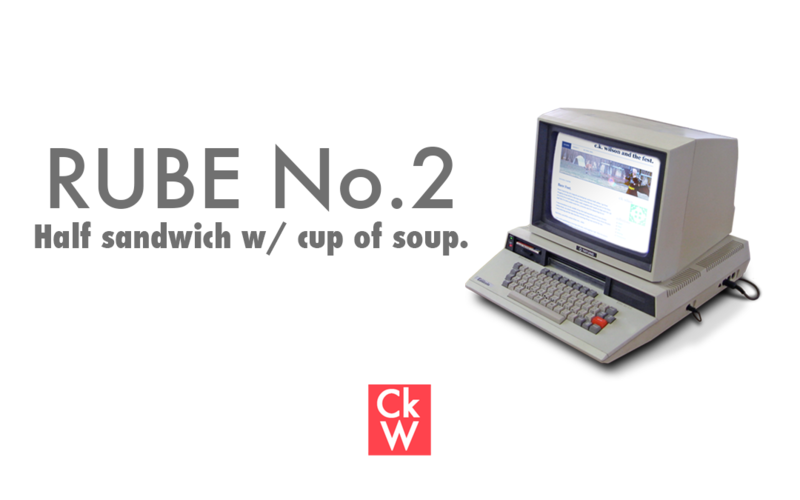 RUBE #2 – Half sandwich w/ cup of soup. Moody, with spots of humor. Just what the internet ordered. Oh my gosh, why am I posting these old rants!? 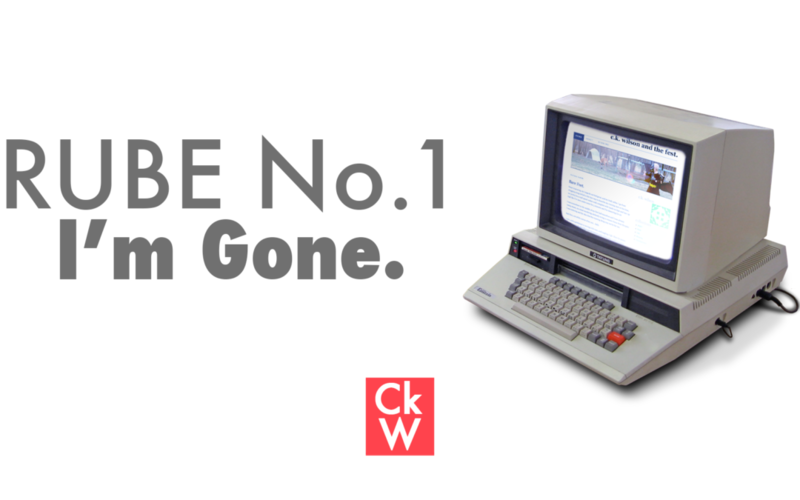 RUBE (Recently Uncovered Blog Entries) #1 – I’m Gone. “Welcome to this blog. Well, nothing much to say, really.” What an awesome way to start a new blog that hope your friends and family will enjoy… sheesh, man.